Look at most research on rewards and the focus is on pay. Such topics as executive remuneration, merit pay or sales-based incentives predominate. Similarly, a lot of public policy attention is given to such issues as CEO pay, minimum pay or public sector pay. 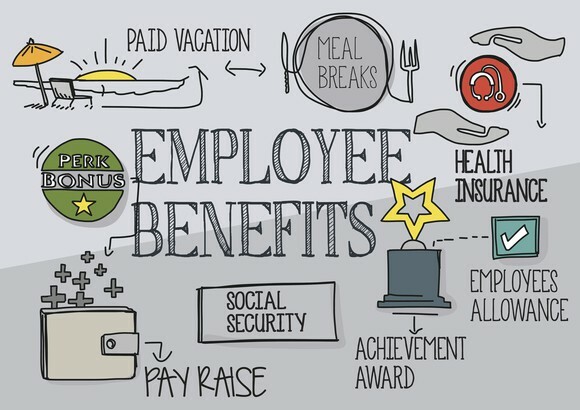 However, when it comes to employee benefits, there is little research on this topic. This is odd, given that financial and non-financial perks can be such an important and expensive part of an organisation’s reward offering, such as workplace pensions. Benefits are also rarely out of the news, whether it is the impact of automatic enrolment or what time off arrangements there are to follow the World Cup. While gender pay gap reporting has generated a lot of media coverage, many employer responses to narrowing it are in the area of benefits, such as flexible working arrangements or enhanced arrangements for maternity, paternity, parental, adoption and carers. “Employers need to take a more holistic approach, using employee benefits as a platform to provide for the whole family if necessary, not just the employee”. This is already common practice with some benefits, such as dental and private medical insurance. Each offers some sort of family cover to employees using a flexible and voluntary selection platform. However, this generally doesn’t extend to benefits such as life insurance and critical illness cover. These are typically only offered to the employee. Yet the workplace can have a pivotal role to play in providing financial protection products which can cover the whole family. Products that families may not otherwise have access to. Fortunately, products are changing to meet the demands of modern living. Employers need to make sure these are included in their family benefits programme. Critical illness cover as an example can now be extended to cover cohabiting partners and children from their date of birth. By providing employees with the option to cover their family, those families are then more likely to become advocates for the company and its cause. This is, of course, good for retention. Where an employee’s spouse or child is covered under a life or critical illness product for example, they are likely to think twice about leaving the company due to their valuation of such benefits. What’s more, in a crowded recruitment market, providing family benefits is likely to attract the best talent. Through a voluntary scheme, employers provide their people with the option to extend cover to their family at the employee’s own cost. As it is arranged through a group scheme, cover will normally be cheaper for employees than if they were to buy individual policies. Premiums are generally collected via payroll, so it’s simple and convenient for employees. Although they will not benefit from income tax and national insurance savings, due to a recent change in legislation. Providing employees with choice allows them to tailor the benefits to best suit their needs and those of their family. This flexibility improves employee engagement. The higher the engagement, the more effective and worthwhile the programme will be for the employer.